Preston Apartments is happy to be in Toronto, one of the best cities when it comes to complementing busy neighbourhoods with a variety of beautiful green spaces big and small. There are hundreds of parks scattered throughout Toronto that are begging to be explored. It's no wonder park signs call Toronto a "city within a park." Start exploring Toronto's parks with these three options within walking distance of 20 Stonehill Court in East Toronto. The first is North Bridlewood Park (11 Adencliff Road). This three-hectre park near Finch Avenue and Pharmacy Avenue features a baseball diamond for all ages and a large playground for kids. 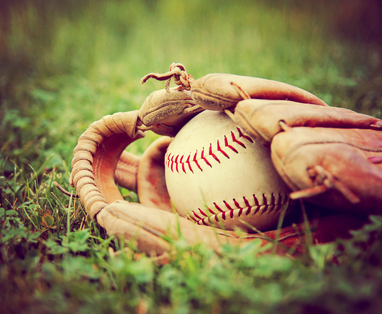 While the kids are playing, residents can let loose by hitting a few baseballs or start a community league of their own. You never know when other nearby residents will be visiting with the intention of starting a new pick-up game. Find the park 19-minutes southwest of 20 Stonehill Court when you head south on Bridletown Circle then west on Primemeadow Boulevard. The second is Beverly Glen Park (75 Beverly Glen Boulevard) which is a 20-minute walk northwest of 20 Stonehill Court if you walk north on Bridgetown Circle and west on Beverly Glen Boulevard. At 2.6 hectares, Beverly Glen is slightly smaller than North Bridlewood Park and features a baseball diamond, a playground and two sports fields. This park is also located within steps of Beverly Glen Junior Public School, making it a perfect spot to spend time with kids after a school day. Just across Birchcrest Crescent is the smaller Birchcrest Park for those who want to keep exploring more open spaces. The third is Timberbank Park (240 Timberbank Boulevard). Like most parks in Toronto, Timberbank is perfect for kids who need to burn off some energy at the playground. The park also features three sports fields that can accommodate anything from baseball to soccer. Timberbank Park is located 15 minutes southeast from 20 Stonehill Court when you walk south on Timberbank Boulevard or east along Finch Avenue East. These three parks near 20 Stonehill Court make it easy to find a little green space in every direction. Exercise, relaxation and quality time with family are just a few of the benefits of exploring Toronto's parks.